The most productive state of being is peace. I’m in the midst of making changes in my life and here at A Free Spirit Life. And sometimes there are glitches. My old perfectionist self brought a pit to my stomach the last few days as things have been sent through my newsletter less than perfect. Eeks…I hate that feeling. And then there’s the old self-doubter who chimes in when someone unsubscribes from my mailing list after I’ve posted something that feels personal and vulnerable. Ugh. But in the end, I share these things with you because – stuff like this happens when we put ourselves out there. And you know what? With time, being less than perfect and making mistakes gets easier, too. So here I am…putting myself out there, facing fear that creeps in now and again, and attempting to shift and sort and stumble and settle into the change. Change can be tough. But eventually it’s usually worth it on the other side! At least that’s what I keep telling myself. This past year, and up to this very moment, has brought so much change to my life – with many ups and downs. I feel like I’m on a constant roller coaster ride! And it’s probably why I want to get off the ride and simply enjoy being still for a while. So I’m listening to those messages, breathing and letting go of putting too many expectations on myself to make, do and produce. That feels good to say out loud. And with patience…I can melt into the spaces between the doing and give thanks for the peace that stillness brings. Keep reading for your chance to win a spot in my new e-course! We are halfway through our Thirty Days of Giving Thanks challenge, which means there are still 15 days left for YOU to join in. Simply take a moment each day to thank someone in your life. Send a text, make a call, or write an old fashioned letter. There is nothing like being on the receiving end of gratitude, except when you are giving it! It feels SO good to be thanked AND to give thanks, because you know you are putting a smile on that person’s face. It’s a win-win for everyone. Thank someone today. And feel your heart (and theirs) expand! Today, I am sending a special shout-out-big-old-hug-full-of-gratitude to my dear friend and awesome, AMAZE-ing artist and pretty-much-just-the-coolest-person-ever…MEG. Meg is really special and I feel like the luckiest to have her as the graphic designer for A Free Spirit Life. She not only helps get my vision across through her artwork, but she is so gracious and kind – even when I give her like 2 days notice to create something! 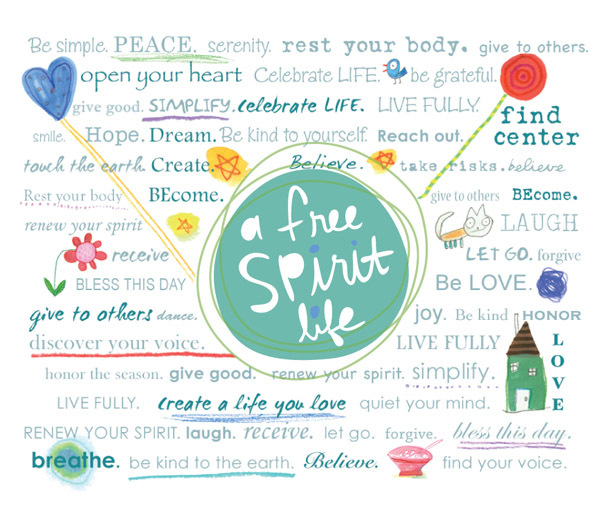 Her newest design is the beautiful Free Spirit Life manifesto that you see on the top of this page – my favorite yet! So thank you, Meg, for sharing your creative talents with us. I’ve been so inspired by you and I feel grateful to know you. 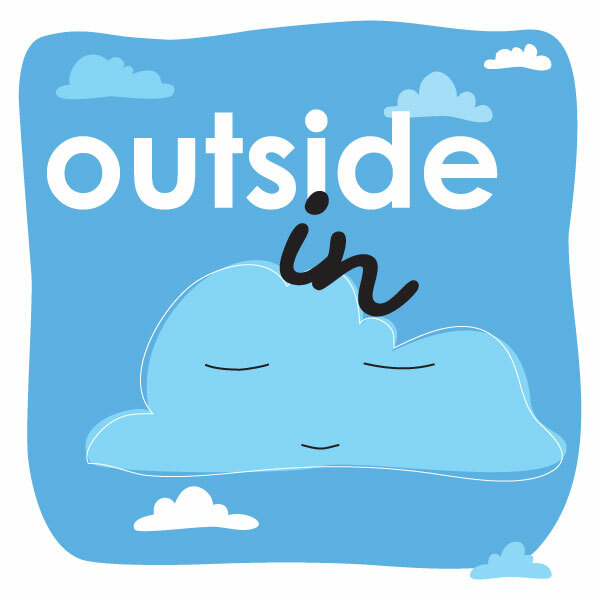 Outside In is a 31-day online experience that will inspire you to stay centered and help you cultivate more peace, meaning and joy this holiday season. For the month of December, you will receive a daily reflection – a simple reminder on how to let go of the stress and chaos that often comes with this time of year, so you can simplify your “to do” list, enjoy being more present and move at a slower pace. My hope for this e-course experience is to offer you a moment of stillness that will help you stay balanced so you can have more fun during the holidays – so when it’s all over, you won’t look back feeling like you over-spent, over-consumed, over-ate and over-did-it. Rather, you will feel recharged, peace-filled and content. To enter for your chance to win a spot in Outside In, leave a comment below by Wednesday, November 21st. I’m giving away 2 spots and winners will be announced Thursday. 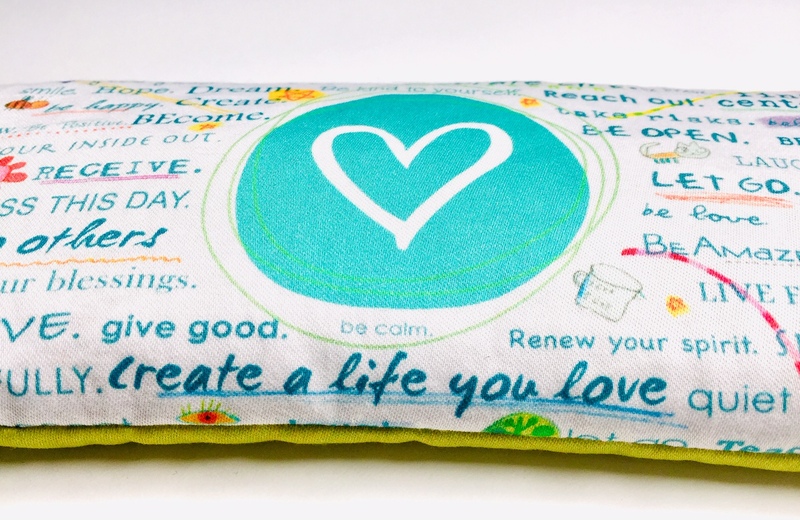 For your second chance to win, join my A Free Spirit Life Facebook page (let me know if you are already a fan) or send out a tweet. For more information, or to register, VISIT HERE. Feel free to email me with any questions. Class runs December 1st – 31st, 2012. Gift certificates are available! What does stillness look like to you? 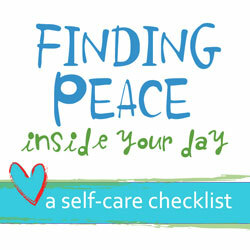 Sounds like a great “course”–really it sounds like a wonderful guide to practicing stillness. Very timely at this crazy part of the year! All the best to you, Shannon! I’d love to win this to give to a dear friend who husband was just dx with MS.last week. I’m sure encouraging emails for an entire month might bring comfort. I definitely follow you on facebook! Meg did a wonderful job on the manifesto! I’m going to print it out and hang it up in my office at work so I can be reminded every day the things I’ve been trying to do! And topping it off with a chance to win a spot in Outside In! That’s awesome, because I wasn’t able to register due to financial troubles. It would be such a treat for me because I find myself consistently inspired by your words. Thank you! for all that you do! Thank you so much for being here and being part of our “Inside Out” community. I’m so happy you like the manifesto. Thank you for sharing and thank YOU for all you do. I *love* the manifesto..it’s invigorating and inspiring! Thank you for touching upon perfectionism…as we move into the holidays, I think the wish to be appreciated and loved for who we are, yet wanting to “appear perfect” is the cause of so much inner distress, which creates a barrier where we really prefer a door. So, yes to mistakes and sharing and openness! Yay! Unsubscribes are “no fun”, but a peer reminded me that they are not necessarily unsubscribing to my words *that day*, but because they received something in their in box with the option to unsubscribe that reminded them to do so (does that make sense?meant to be an encouragement). Thank you SO much for this… My old self would have been “hurt” by unsubscribes..but truthfully I actually appreciate them now – because I, too, have unsubscribed simply as a way to clear out my inbox and stay focused. So I actually understand it and I’m happy that others are clearing and making space too! I also know that it makes space for the ones who do subscribe…so it’s all good. Oh! Oh! Very excited about this chance to win! Thanks shannon! Yep! Yep! Eleanor…I’m excited too! THANK YOU. what a beautiful manifesto! 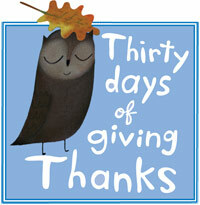 And I LOVE the art work on this site-especially the owl! Love owls! I think your new e-course is a lovely idea and so timely. I would feel blessed if I won a spot! Thanks, Karen! I’m happy you stopped by for a visit. Owls have become my favorite animal over the last year. They are seriously cool – aren’t they? Shannon! Hello, beautiful! Oh wow, that is a great manifesto. It’s like taking a deep breath of fresh mountain air. Yes, yes, yes!!! Your boys gets more and more adorable every day. How is that even possible?! Pushing the envelope of cuteness, those two. 🙂 I’m glad they’re feeling better now. Whew! The e-course sounds wonderful. I’m going through some changes now, myself, and I’m definitely not comfortable with them. A bit of stillness is exactly what I need right now! oh, ps! I love your website intro page! Sooooo cool and cute! BELLA! No matter what…I simply beam after a visit from you. Thank you for your comments about my little dudes – oh my gosh they are fun kids. I feel very blessed FOR SURE. I’m so happy you like the website intro page! I appreciate you taking the time to stop by for a visit. It means a lot to me that you stopped by for a visit. Thank you for your wonderful comments. I have been resisting signing up for this ecourse because it is just such a busy time of year. I’m not sure I could fully partake. We are getting ready for a cross-country move, getting the house ready to put on the market, hosting Thanksgiving, and preparing to celebrate Hanukkah AND Christmas. Truly what I could use right now is some peace. After pausing for a moment to think about it, this course is probably exactly what I need, when I need it. Oh Jennifer – it’s why I have trouble even calling it an “e-course” because I totally hear what you are saying. PLEASE NOT ONE MORE THING ON MY PLATE! My hope is that you will find this to be a breath of fresh air – not another thing to do but rather something you look forward to because it offers a new perspective…a simply a pause in your day that refreshes and renews your soul. Thank you for stopping by and I really appreciate your comments. What could be better than the “gift of stillness”? Your course sounds like an offer to help others take the time to watch and contemplate a gentle falling of fluffy snowflakes on a crisp, quiet day. It also would allow me appreciate my daily computer use for other than it’s usual stressful purposes like work, checking deadlines, or answering urgent requests. Thanks! YES…Beth…exactly!! Is there anything more refreshing than taking the time to enjoy a fluffy snowflake on a crisp, quiet day! But how often we miss out on those moments because we are too busy and too cold and too grumpy because we have to drive in it? My hope for this experience in December is that we can all be refreshed and remember what truly matters most in the every day. THANK YOU for stopping by and sharing. I would love to win your ecourse. I myself am in the mist of changing myself and my life. I am shedding the things, people and habits that no longer serve me. It can feel quit lonely and overwhelming at times. I keep coming back to center. But I keep going away from center as well. I understand things happen for a reason and I am trying to embrace my new life and all the unknowns. Le’Ana – It’s nice to know we aren’t alone in the “shedding” of things, isn’t it? Good for you for becoming more aware of things that you are ready to let go of – because that truly is the way we make space for newness to enter our lives. I’m learning that it is far too easy to fall off center…especially the more things that are out of balance. But to be aware of your need for center is so huge… Sending you big hugs as you continue shedding and returning to center. xo Thank you for sharing! 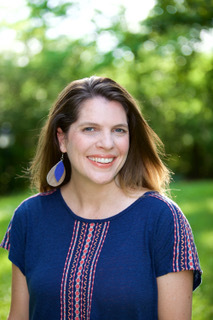 I would love to win your ecourse! Just getting thru a divorce and being thrown into the workforce after years of being a stay at home mom…ready for some stillness in my life. Thanks for the opportunity. Stillness to me is freakishly hard and looks like laying around. Just watching my family, or closing my eyes, and not thinking of what else I should be doing. would love a chance to win and am already feeling myself pull back from the craze. not only are the holidays upon us but another move. we leave this house and town at the end of the year, making it uber essential that i pare down, don’t self criticize, and be still this season. I too really love your manifesto. Inside out has been an eye opener and has been a start to some big changes in my life of which one will be to stop working where I currently work and take a few months out to figure out what next. Although the preparations here for the festive season are not as hectic as for some (as I do not have family over here) I do have a great urge for stillness, peace and feeling centered. I continue my job throughout the festive season and the Outside In could just be what I need to make that load seem a bit lighter and help me focus on what really matters. Thanks for providing the chance to win a place! What a neat idea for a course! I would welcome the simple reminder you are offering and wish you the best!